This capstone work from widely respected senior evangelical scholar Donald Hagner offers a substantial introduction to the New Testament. Hagner deals with the New Testament both historically and theologically, employing the framework of salvation history. He treats the New Testament as a coherent body of texts and stresses the unity of the New Testament without neglecting its variety. Although the volume covers typical questions of introduction, such as author, date, background, and sources, it focuses primarily on understanding the theological content and meaning of the texts, putting students in a position to understand the origins of Christianity and its canonical writings. Throughout, Hagner delivers balanced conclusions in conversation with classic and current scholarship. The book includes summary tables, diagrams, maps, and extensive bibliographies. 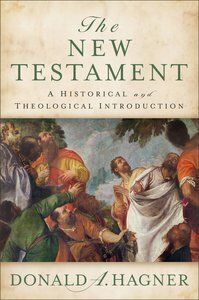 About "The New Testament: A Historical and Theological Introduction"
Donald A. Hagner is the George Eldon Ladd Professor of New Testament at Fuller Theological Seminary. His publications include commentaries on Matthew (1993) and Hebrews (1990).